Are You Ready to Update Your 1031 Exchange Strategy? The housing market in some areas has posted record valuations. California, Nevada, and Idaho among them. You’re thinking about cashing out of your current real estate investments, but what will be your next investment? 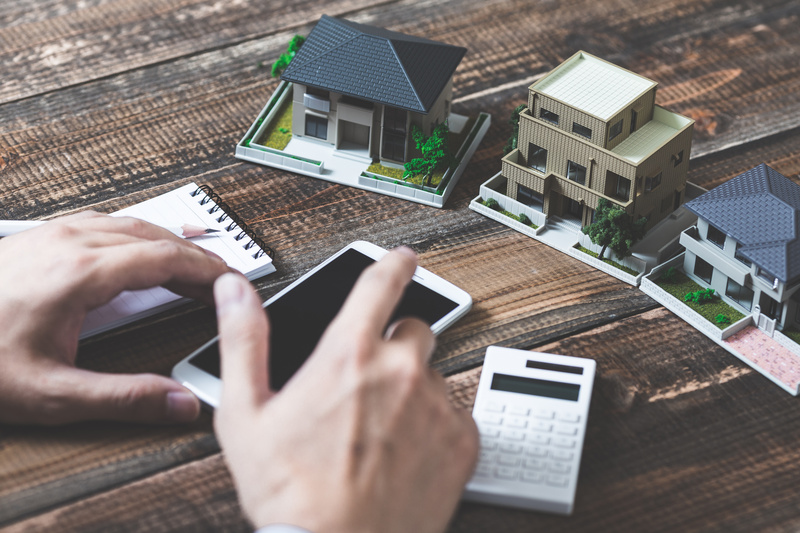 Although mortgage interest rates are going up, money sitting in a bank account or Certificate of Deposit (CD) barely earns enough each month to buy a latte. Rather than sell your current investments and head to Hawaii, consider investing in a different kind of real estate. You could make more money than you ever dreamed of. Or not. The type of senior housing you buy and where you buy it will make the difference between spending large or scraping by. We’ve been hearing about aging Baby Boomers for years. Those born between 1946 and 1964. (You will see variations on the birth year spread. The Pew Research Center came up with new guidelines to define the different generations.) Well, they finally did it. They aged. A lot. But many did not slow down. According to the American Association of Retired Persons (AARP,) the largest non-profit organization for seniors in the US, a Baby Boomer turns 65 every minute. Many want to work and stay in their homes for as long as possible. Others want to retire while they are still young and healthy enough to enjoy the fruits of their hard labor. We used to think of senior housing as the last stop in the train of life. Where you played shuffleboard and bingo until you slipped gently into that good night. But, Baby Boomers – being the protest generation – disrupted that business model. They are living longer and many are still pretty healthy. (Thanks to statins and blood thinners.) They want to live in communities that offer much more than boring games and cafeteria-style food. So, your Grandma may be as vibrant and active as she was in younger years. But classic Grandma still exists. The one most people think of when you say, “Nursing home.” Physically weaker and mentally-challenged, she needs more help. It is estimated that 28 million Boomers will have Alzheimer’s by 2050. This requires specialized care that their grown children are not equipped to handle at home. There are several categories of senior housing. Within each category, there are subtypes based on target market and size. Assisted living facilities can be as small as a few rooms in someone’s home. Or have several hundred units. Some cater to the rich; others to low-income residents. Senior housing types are generally based on the level of care required by the residents. They can be communities of condos or single-family homes available to seniors to buy. Or, apartments that they rent. There are affordable options for low-income seniors and homes in exclusive neighborhoods near golf courses and other high-end amenities for the affluent set. This is an age-restricted community (typically 55+) for seniors who are mobile and need little or no outside care. They just want to be active and develop relationships with people their own age. These can be condos or single-family homes. Needed services are often available to residents on an as-needed basis. These services are usually contracted out to a private-duty company. Activities geared toward seniors are provided. These are usually apartment-style communities. Residents can opt for a shared apartment for a lower cost. The average monthly cost for a private, one-bedroom unit in an assisted living facility is about $3,700. This can vary widely from state to state. You’ll pay a bit less in Texas (about $3,600), a bit more in California ($4,000) and a lot more in Massachusetts (about $5,500). Assisted living, in terms of the level of care, is between Independent Living and Skilled Nursing. It is for seniors who need help with everyday tasks like getting dressed, managing their medications, bathing, and preparing meals. Social activities are provided. Sometimes a salon is onsite. These services are typically contracted out to a private-duty company who may or may not have an office inside the facility. Assisted living is not typically covered by Medicare or Medicaid. However, the cost can still be less than a senior remaining in their home and paying for home healthcare workers to assist them. In an assisted living facility, most of the utilities, meals, and care are included. When you hear the term “senior housing,” you may think of skilled nursing facilities. Commonly known as a nursing home, this is for seniors who need a higher level of care. This type of facility must be accredited in order to receive reimbursement from Medicare and Medicaid. They are required to meet criteria as defined in the Social Security Act. This can limit the profitability of a facility. There are state-run facilities available for low-income seniors. However, they do not have the best reputation. The author’s grandmother, who could no longer care for her husband because he had Alzheimer’s, had to place him in a state-run facility that accepted Medicaid. She would pay the orderlies extra money in the hopes that they would provide her husband with good care. Memory care is for those seniors suffering from dementia and Alzheimer’s. Their disease has reached the point where staying at home is unsafe. Memory care is often part of assisted living or skilled nursing facilities. However, Baby Boomers are insisting on care that specializes in memory care. Continuous Care Retirement Communities (CCRCs) These communities offer all levels of care described above. The focus is typically on skilled nursing, including memory care. Assistance for other seniors will often be contracted out to other companies. They are likely larger properties since they serve a broader base of seniors. As an investor in senior housing, quality of care is ultimately more important than aesthetics and amenities. This means that who you hire to manage the facility is critical. You should truly care about the level of care the seniors in your facility receive. Seniors will have some of the same issues as regular residential tenants (like needing their kitchen sink repaired). However, they have daily needs that you must attend to. You can expect much more interaction with a senior. You may also need to deal more often with the families who are overseeing their care. Baby Boomers are changing senior care. The most affluent generation has high expectations. They want high-quality meals and well-appointed living quarters. They are insisting on more amenities than just a hair salon and some dance classes. They want an experience tailored to their needs. It’s not just about food and activities. Boomers also want more specialized medical care including onsite massage therapists, psychiatrists, and physical therapists. Say it with me: The three most important things in real estate are…location, location, location. According to National Real Estate Investor, the top five markets for senior housing are California, Arizona, Florida, New England, and Washington. That doesn’t mean you can’t make money in other markets. Like any other rental market, research is key. It is critical to work with a local commercial real estate agent with knowledge of senior housing to understand your target market. What are the demographics? What are other senior housing facilities charging? What are the average vacancy rates? Some senior housing markets are overbuilt. Particularly in the “memory care” segment. Areas with more land and fewer restrictions made it easier to build facilities. Dallas, Houston, Atlanta, San Antonio and Denver among them. National Investment Center for Seniors Housing & Care (NIC) advised that the national vacancy rate as of the fourth quarter in 2017 averaged just under 90%. This was down slightly from the previous year. A coming labor shortage in the healthcare industry is expected. A combination of low pay, terrible hours, and lack of career opportunities has resulted in fewer workers choosing this field. The tightening of immigration has also had an impact since one in four workers are immigrants. This should not steer you away from investing in senior housing. But, it’s an important issue to be aware of. If you anticipate dealing with a labor shortage, you can implement a risk mitigation plan. Considering in advance how you can attract and retain healthcare workers should be part of your business plan. If you sell your current investment for a profit, you will likely pay taxes on the gain. To defer taxes, consider doing a 1031 exchange. You sell your property and buy a “like” property. As long as you spend as much or more on the new property, you will not pay taxes on the net gain from the sale. There are rules that must be followed. However, working with an experienced and reputable “intermediary” will make the process far less confusing. In fact, you must use an intermediary because you cannot touch any of the money from the sale. When you close on your property, the proceeds from the sale go to the intermediary – not to you. A “like” property does not mean that if you sell a single-family residential income property that you must buy another single-family property. Selling pretty much any kind of real estate allows you to buy any kind of real property. For example, you could sell your 8-unit apartment building and buy an assisted living facility. You have 45 days to identify up to three replacement properties and 180 days to buy one or more of them. They should be of equal or greater in value. (You can buy a property of a lower value, but you’ll pay taxes on the difference.) The 180 days begins when you close on the sale of the property you are exchanging. Investing in senior housing can be a good investment. The current wave of aging Baby Boomers and the coming wave of aging Gen-Xers will provide a large customer base. Like all real estate, location is critical. 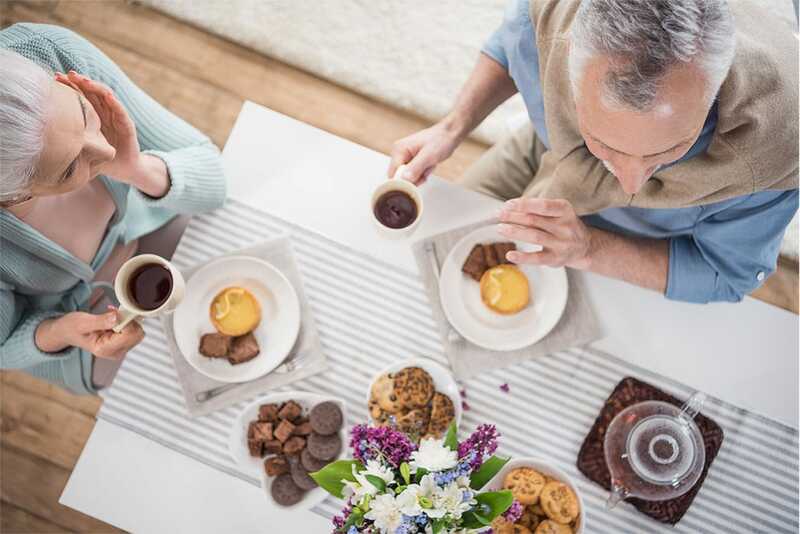 A key component to success in the senior housing space is to know that catering to and caring for a senior is different from serving a typical tenant. Do your research to make sure that the senior housing you choose to invest in is right for you. Work with realtors and other professionals who are highly experienced in senior housing. 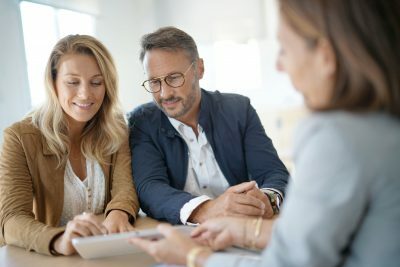 If you decide to do a 1031 exchange, be sure to use a reputable intermediary. Investing in senior housing can be profitable and rewarding. After all, you are helping someone’s grandma enjoy her twilight years.